IT DOES NOT TAKE A GENIUS to see that the CDC has been issuing misinformation on the link between vaccines and autism. Once one bothers to look at the scientific literature for one’s self, that is. I thought for years that the issue was wrapped up – had been settled – and in fact nearly published a chapter for my book “Cures vs. Profits”, lauding the value of vaccines to society without including the other side of the story. But then I recalled what I thought was the “myth” of the link between vaccines and autism. I recall as I sat down to re-research the Wakefield story, I wondered what developments ever became of “that issue”, as if the issue lived separate, and apart from my life as the austere author and well-respected scientist. Little did I know that I was about to begin tapping on an atom bomb, waiting to explode. “We know how to control Ebola, even in this period.”, testified CDC Director Thomas Frieden. “We also know fire”, I quipped out loud, as I watched the testimony to the US House Oversight Committee. Ask most people how to fight fire, they will first think “Pour water on it”. However, some fires, such as grease fires, are made much worse using water. The question is whether the observed genetic and protein variations in this strain from Guinea have changed the biological characteristics of the virus sufficiently such that certain details of the know-how and knowledge and perspective in the training of health care workers, or in the care of patients, has inadvertently made transmission more likely than it would have for Zaire ebolavirus. Herein lays the conundrum. Highly trained, advanced, and high-ranking officials in the US, the UN, the WHO and other countries with modern health care systems can easily see when citizens of African countries often appear to fail to see themselves in their own cultural context. Western medical experts are not as likely to see themselves as capable of falling into traps of practice, custom, and culture, or to appreciate the role that these practices may have, in some settings, in preventing improved understanding. They are drilled for knowing what they know, aiming high on exams in college to insure entrance into medical school. They have all sought the sacred rite of healing people. The White Coat culture has its own staid traditions, and being a medical doctor commands a great deal of respect. Regardless of the perceived virtues of western medical practice, it would be a tragedy if we eventually find that grave error has been made in treating this strain as if were the same as strains from past outbreaks. If this proves to be the case, it means that western medicine was outsmarted by a remarkably small percentage of nucleotide variation. I closed my laptop and sat, stunned. I was examining the very mutations present in the sequenced genomes of Ebola from patients who died in 2014. The 2014 ebolavirus. How could he say this, I wondered, when the key report of the emergence of Ebola in the New England Journal of Medicine, the source of the data I was analyzing, published a few weeks earlier, clearly showed mutations accumulating? They had found distinct differences, and observed the frequencies of genetic variants changing over time in the transmission chains. Early patients had lower frequencies of some mutations, or more properly, polymorphisms, in the population of virus in their blood; later patients had higher frequencies. They had caught the virus evolving. The hearing was on October 16, 2014. You can watch it on C-SPAN. At the time, the projected number of cases was astronomical – 20 million by January. (These were later corrected by an brilliant epidemiologist at Yale University named Jeff Townsend who reminded everyone that disease spread in social networks, not randomly through a population). I interviewed Jeff for “Ebola“. Most concerned Americans will remember that reporting on Ebola just… went away. And yet some very astute scientists continued to work on a rapid assay. By January, we had nearly a dozen candidate transformative antibodies (in silico). And then the epidemic seemed to come to a halt as well. The real story of the end of the outbreak is a sad tale I tell in my book, and it’s worth telling here: they baited real and suspected Ebola cases with promises of treatment with western medicine in Ebola Treatment Units (ETU’s). They landed in triage units, where they lived, or died (with no real treatment). Many people who went with symptoms who did not have Ebola contracted the disease and likely half of those people died. When I learned this, I became very depressed. I was glad was had bent the curve. But at what cost? How the CDC Misled Me, Other Scientists, and the Institutes of Medicine. Oh, and the Public, Congress, the AMA, the AAP, the FDA and Pharma. After finishing “Ebola“, I took a break from writing, and began to look for honest work. I volunteered as a cancer patient advocate for a few cases, to help people research open clinical trials. But I found it hard to focus on anything other than the ills of modern medicine and biomedical research. I decided to write a book on the very best in biomedicine – the most successful translational research stories I could find. I scored a contract for that book, and began hammering out the chapters – on breast cancer receptor research, on prostate cancer robotic surgery, on chemosensitivity assays, on drugs that reverse various pre-cancerous condition in the colon… so many topics on the good stuff in biomedicine. Then I hit ADHD overdiagnosis. And Vaccines. Researching these two topics has changed my perspective on the CDC, permanently. You see, a few months before approaching vaccines as a topic for a chapter, I was in San Francisco hosting a session at the CHI meeting on Molecular Medicine. Another person and I were engaged in a discussion of “those vapid anti-vaxxers” when a gentleman from the South politely reminded us that it was “crazy to generalize about why someone might not want to vaccinate”. I could tell he had more to say, but he more or less left it at that. Fast forward to the day when I decided to look up Wakefield. I typed in “vaccine and autism”. And I discovered that, while I was busy focusing on the end-of-the-world via Ebola, a senior research scientist at the CDC named Dr. William Thompson had revealed that he and his colleagues omitted data showing a positive association with autism. Startled, I dug in. I have since finished the book (here is a link), Founded the Institute for Pure and Applied Knowledge, and cannot see a time in the future where I will not spend some time every day working to reverse the damage to society by the CDC’s concerted effort to hide the truth not only about what their science says – but also to keep from the public’s eye the research that DOES show a vaccine/autism link. There are as many or more valid studies showing association, and mechanistically how and why vaccines may cause autism in some people. I know this because I’ve read >3,000 studies (peer-reviewed) on autism. (1) The CDC left out results they did not want to include. (2) The CDC analyzed the data until association between vaccines and autism disappeared. These two points are covered in Kevin Barry’s “Whistleblower” book. (3) The CDC fails to cite, or even read, most the science that shows how and why vaccines might cause autism in some people. There are other references to Dr. McCormick’s “take-away” from her meetings with the CDC on what, and how the IOM should be doing, when they should be doing, and how they should decide on issues like whether autism is to be considered “severe” (IOM decided yes, autism is “severe”) and whether the scientific evidence supports a link between vaccines and autism. The IOM committee relied heavily on the materials supplied to them by the CDC, in one case citing a study that was provided to each of them in a folder. Dr. McCormick, who played the role of the voice of the CDC’s position as the IOM committee sorted out their charter, agenda and protocols, decided that no one on the committee had a “free weekend” to give to the hundreds of studies that existed at the time that supported the autism/vaccine link. At other places she clearly advocates for the CDC’s wishes for them to find “different language” (1984, anyone?) by which to address the problem of a causal link so they do not end up talking about it with the same terms that parents groups might be using to talk about it. 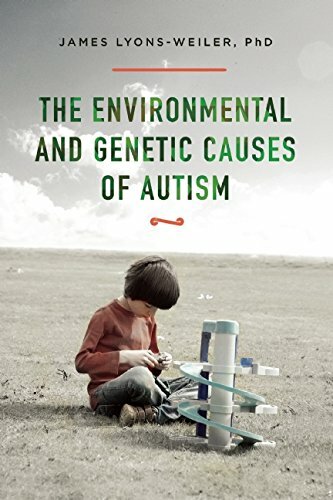 You can see my review of some those studies here, and others in my book “The Environmental and Genetic Causes of Autism” when it comes out from Skyhorse. (5) The CDC makes unqualified generalizations about the knowledge of the vaccine/autism link even for vaccines for which no science is available. The only vaccines ever studied for link to autism is the MMR vaccine. After they conducted studies (that the fudged, see above), they decided that no more research on the question of vaccines and autism was needed. Whenever a scientist says “no more research is needed”, that’s a big clue: more science is needed. Because science does not hardly ever come down so hard on an issue as complex as whether vaccines can cause autism in some people. (6) The CDC dismisses out of hand all of the available science that shows a link – statistically and via functional mechanisms – in a very cavalier manner. Under oath. To Congress. Routinely. As if telling the truth does not include being forthright. Sins of omission are not excusable. They are charged with paying attention to all of the credible science – and have accepted the role of doing so. (7) They do no participate in animal studies or even cell culture studies to determine what DOES cause autism. Evidently, they are not interested in knowing what causes autism. 1 in 68 kids develop autism. They don’t seem to think it is a priority enough to figure out why. (8) They place shell games with neurotoxins. When the FDA caught wind that the CDC’s pediatric vaccination schedule exceeded their recommended dose of mercury, the Pharma (i.e, Merck) finally acted by removing vaccines with mercury for the pediatric schedule. Oh, except for flu vaccines for pregnant women, well, (<Sarcasm alert>) because mercury administered to a gestating fetus is just so much safer than in a six year old (<End Sarcasm alert>). But they simultaneously added vaccines to the 0-2 year old group – a group traditionally for which vaccination was not recommended on the schedule. Dose them young, shift the diagnosis from 3-4 years old to 0-2 and BAM! you have natal, or congenital autism. Then you can say “it’s genetic”. Except, it’s not. Autism is at most 50% genetic. Of the hundreds of genes found to weakly contribute to autism risk, many are real “autism risk” genes, some are environmental phenotype modifier genes, and some are environmental susceptibility genes. Science is needed to sort the hundreds of genes in to these categories. To put the blame on genes alone is altogether distracting from the real environmental causes. My thorough review of the literature has left me feel very angry – as a father, as an American, as a human being, and as a Scientist. At times, my anger is expressed via literary outlet. Mostly, however, I spend my time plotting the best revenge against pseudoscience. Which, of course, is Science. Which we need more of, and fast. Thank you Jim Moody for providing the links to the minutes of the IOM meeting. And thank you Flickr for the lovely photo. 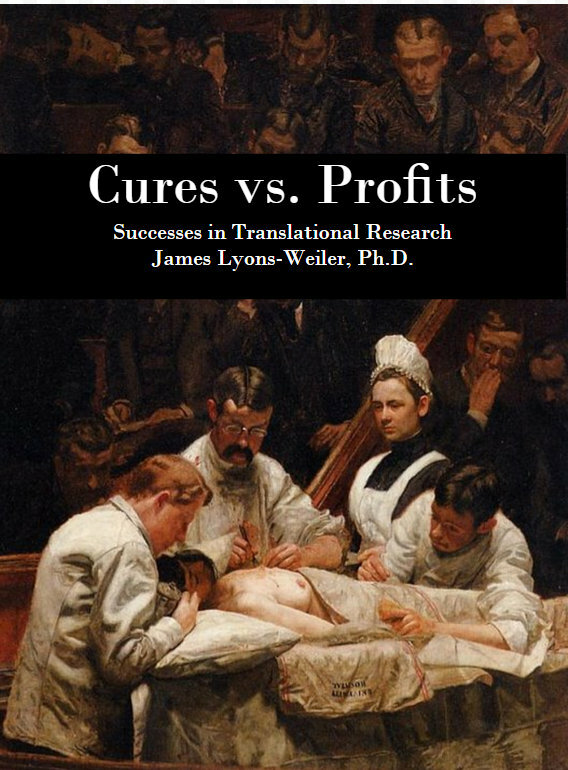 New Book Released 2016 – Cures vs. Profits: Successes in Translational Research (World Scientific (323 pages). To help support the publicity campaign, click on the book cover, above! Why dou suppose the CDC and related scientists would want to deliberately skew results important to not only parental choice about vaccination and their children, public safety, and legislation which…in certain areas more than others..is becoming strongly mandated? Why would a health organization want to perpetuate severe cases of ill health and sell it to the public as the prevention of diseases often sorted out through cleanliness and proper sanitation? What I like about this post is that it shows a number of examples how forces in the media and government agencies obfuscate scientific truths for their own misguided and in many ways corrupt agendas. Your explanations from a scientists perspective are of a different tone than ‘conspiracy theorists’ (no disrespect to them). More importantly, it shows a transformation of your thinking that led you to study the very important autism epidemic. At some point in your transition, there must have been a true epiphany where the paths forward became clear. So many potential paths to follow without fear of confusion in orientation.